Oswald Ludwig Pohl, the son of a foreman in a steelworks, was born in Duisburg, Germany, on 30th June 1892. After leaving school he joined the German Imperial Navy. During the First World War he served in the Baltic Sea region. After the war he studied law at the Christian-Albrechts-Universität in Kiel. However, he left university to join the Freikorps and took part in the Kapp Putsch. In 1920 he joined the Weimar Republic's new navy, the Reichsmarine. In 1925 he joined the Sturmabteilung (SA) and the following year he became a member of the National Socialist German Workers Party (NSDAP). Pohl made significant progress in the navy and by 1932 had reached the rank of Commander. In 1933 he wrote a letter to Adolf Hitler about rumours he had heard about Reinhard Heydrich. According to Pohl: "I wrote to Hitler that if all the things rumoured about Heydrich were true, I couldn't understand why he was permitted to wear an SS uniform. In May 1933, Heinrich Himmler went to see Pohl after his commanding officer, Wilhelm Canaris, had told him that Pohl was a loyal "National Socialist" and a "first rate man in every way". Himmler explained that the rumours were untrue and asked whether Pohl was interested in joining the Schutzstaffel (SS). Himmler told Pohl he was looking for an officer to take over the administrative and financial side of the SS. At first he rejected the offer as he was happy in the navy and headed a staff of over 500 hundred men at Kiel. Pohl later wrote: "Himmler became very insistent and wrote me one letter after another urging that I take over the administrative organisation of the SS. In December 1933 and January 1934, he invited me to Berlin and Munich, and showed me the whole SS administrative set-up and the many complex problems that were involved. It was only in February 1934, after I saw what a big job was in store for me, that I finally accepted." Pohl joined Himmler's personal staff as chief of the administrative section. "When I took over my office, the SS was a comparatively small organisation, like a union, with a group here and there in various towns and cities. I started by installing administrative commands in various key cities, and I selected personnel who would be fit for their jobs. I inaugurated schools that taught these administrative officials for a few weeks before they were dispatched to take over my branch offices all over Germany. I achieved a sound administration in the SS, with orderly bookkeeping and financial sections." Adrian Weale, the author of The SS: A New History (2010): "Before January 1933, much of the SS's funding had come from membership dues, with occasional subsidies from party headquarters for special projects, but as it began to take over state functions, it increasingly became eligible for state funding. It was in this area that Pohl really made his mark. Despite the supposedly revolutionary nature of the National Socialist government, expenditure still had to be justified, budgets formulated and fiscal probity maintained to the satisfaction of both the civil service and the party. Pohl, drawing on his long experience in naval administration, succeeded in achieving all of this. In addition, he established relationships between his office and the various departments and ministries on whom the SS depended for its budget: the party treasury, the Finance Ministry, the Ministry of the Interior; the Army Ministry and so forth." In June 1939 Pohl became chief of the SS Economic and Administrative Main Office (SS-Wirtschafts-Verwaltungs Hauptamt). In February 1942, Pohl took control of the administration of the concentration camps. Pohl clashed with Theodor Eicke over the way the camps should be run. According to Andrew Mollo, the author of To The Death's Head: The Story of the SS (1982): "Pohl insisted on better treatment for camp inmates, and SS men were forbidden to strike, kick or even touch a prisoner. Inmates were to be better housed and fed, and even encouraged to take an interest in their work. Those who did were to be trained and rewarded with their freedom. There was a small reduction in the number of cases of maltreatment, but food and accommodation were still appalling, and in return for these 'improvements' prisoners were still expected to work eleven hours per day, six or seven days a week." 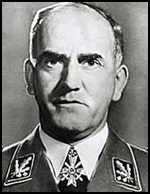 Pohl came under pressure from Albert Speer to increase production at the camps. Pohl complained to Heinrich Himmler: "Reichsminister Speer appears not to know that we have 160,000 inmates at present and are fighting continually against epidemics and a high death-rate because of the billeting of the prisoners and the sanitary arrangements are totally inadequate." In a letter written on 15th December, 1942, Himmler suggested an improvement in the prisoner's diet: "Try to obtain for the nourishment of the prisoners in 1943 the greatest quantity of raw vegetables and onions. In the vegetable season issue carrots, kohlrabi, white turnips and whatever such vegetables there are in large quantity and store up sufficient for the prisoners in the winter so that they had a sufficient quantity every day. I believe we will raise the state of health substantially thereby." 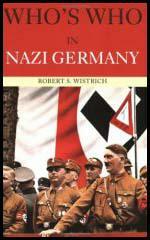 As the war progressed Adolf Hitler became greatly concerned about the problems of production. Himmler wrote to Pohl on 5th March, 1943: "I believe that at the present time we must be out there in the factories personally in unprecedented measure in order to drive them on with the lash of our words and use our energy to assist on the spot. The Führer is counting heavily on our production and our help and our ability to overcome all difficulties, just hurl them overboard and simply produce. I ask you and Richard Glucks (head of concentration camp inspectorate) with all my heart to let no week pass by when one of you does not appear unexpectedly at this or that camp and goad, goad, goad." The historian, Louis L. Snyder, has pointed out: "In this post he had charge of all concentration camps and was responsible for all works projects. He saw to it that valuables taken from Jewish inmates were returned to Germany and supervised the melting down of gold teeth taken from inmates... The railroad wagons which brought prisoners to the camps were cleaned out and used on the return journey to transfer anything of value taken from the inmates.... Gold fillings retrieved from human ashes were melted down and sent in the form of ingots to the Reichsbank for the special Max Heiliger deposit account." Oswald Pohl formed a limited company called Eastern Industries or Osti to manage the ghetto and labour camp work shops. It has been argued that Pohl's policies prevented the deaths of thousands of concentration camp inmates. Rudolf W. Hess complained that "every new labour camp and every additional thousand workers increased the risk that one day they might be set free or somehow continue to remain alive". Reinhard Heydrich attempted to sabotage this enterprise by arranging for large numbers of Jews to be taken directly to extermination camps. In April 1944 Pohl issued orders to camp commanders: "Work must be, in the true sense of the world, exhausting in order to obtain maximum output... The hours of work are not limited. The duration depends on the technical structure of the camp and the work to be done and is determined by the camp Kommandant alone." One inmate of Auschwitz complained that Pohl was guilty of "the systematic and implacable urge to use human beings as slaves and to kill them when they could work no more." Heavy bombing of the camps further damaged production. Peter Padfield, the author of Himmler: Reichsfuhrer S.S. (1991) points out that Himmler suggested a possible solution to the problem: "Himmler urged Pohl to build factories for the production of war materials in natural caves and underground tunnels immune to enemy bombing, and instructed him to hollow out workshop and factory space in all SS stone quarries, suggesting that by the summer of 1944 they should have ... the greatest possible number of such 'uniquely bomb-proof work sites'... Pohl's Works' Department chief, Brigadeführer Hans Kammler, succeeded in creating underground workshops and living quarters from a cave system in the Harz mountains in central Germany." After the German surrender in April 1945, Pohl went into hiding. He was captured near Bremen on 27th May 1946 and was charged at Nuremberg Trials for crimes against humanity, war crimes and membership in a criminal organization as well as for mass murders and crimes committed in the concentration camps. 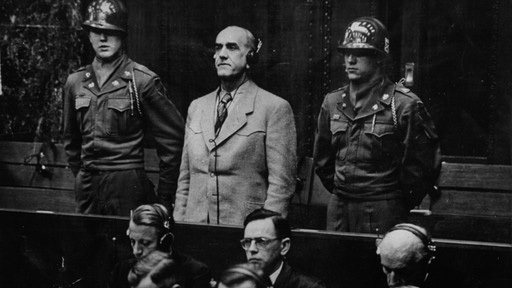 Pohl was found guilty and sentenced to death on 3rd November 1947. Oswald Pohl was hanged at Landsberg Prison on 8th June, 1951. Before January 1933, much of the SS's funding had come from membership dues, with occasional subsidies from party headquarters for special projects, but as it began to take over state functions, it increasingly became eligible for state funding. It was in this area that Pohl really made his mark. Despite the supposedly revolutionary nature of the National Socialist government, expenditure still had to be justified, budgets formulated and fiscal probity maintained to the satisfaction of both the civil service and the party. Pohl, drawing on his long experience in naval administration, succeeded in achieving all of this. In addition, he established relationships between his office and the various departments and ministries on whom the SS depended for its budget: the party treasury, the Finance Ministry, the Ministry of the Interior; the Army Ministry and so forth. Among the first SS recipients of state funding were the Special Purpose Troops being formed at various locations around Germany. Later, following Himmler's appointment as Chief of the German Police in 1936, a much wider range of SS activities was brought under the umbrella of state support, including running the concentration camps. In the last months of 1934, Himmler had launched the SS's first "corporate venture" when he founded a publishing house - the Nordland Verlag - which went on to produce a wide range of ideological tracts, training manuals, propaganda texts and novels. This was followed by a porcelain factory - Allach Industries - which produced commemorative plates and figurines as well as symbolic items, like "Yule candlesticks", that were presented to SS families; a photographic studio; and even a company that produced electric bicycle lights. None of these ventures was intended to be profitable; instead, they were founded to demonstrate the superiority of the SS order and to act as cultural showcases. Meanwhile, the Inspectorate of Concentration Camps determined to make the camps economically productive. Part of the motivation for this was the shortage of materials and workers for the reconstruction projects that Hitler and his favourite architect, Albert Speer, were developing. An obvious answer seemed to be to force concentration camp prisoners to quarry stone and make bricks, cement and other materials. However, the SS had no experience in managing building projects or indeed any other type of business. This was highlighted by the large financial losses incurred by several of the businesses, particularly the German Earth and Stone Works, which operated brick-making plants and stone quarries at Buchenwald, Neuengamme, Sachsenhausen, Flossenberg and Mauthausen. This failure was a source of acute embarrassment to Himmler. His solution was to create a new Main Office that would allow Pohl to control all of the businesses and then develop them to generate profits for the SS. Accordingly, in April 1939, the Verwaltung und Wirtschaft Hauptamt (VuWHA - Administration and Business Main Office) was set up, with Pohl combining his former tasks of chief administrator and treasurer with two new roles: control over all of the SS's construction projects and business enterprises. However the Interior Ministry was concerned that state funds might now be diverted towards SS businesses, so another new Main Office - "Budget and Buildings" - was established to deal with funding and administration, while the VuWHA concentrated on the business side. Pohl recruited young, idealistic, professional managers and engineers to turn around the businesses. They did this by welding the large pool of available, cheap (effectively slave) labour to modern management techniques. Inevitably, utilising manpower from the camps required ever closer relations between the VuWHA and the Inspectorate of Concentration Camps, which was now led by Richard Glucks. Between 1939 and 1942, a new hierarchy of administrators was created within the camps to manage SS production and the outsourcing of prisoner labour to private industry. The logical conclusion of this came in February 1942, when the VuWHA, the Household and Budget Main Office and the Inspectorate of Concentration Camps were merged to create the Wirtschafts und Verwaltung Hauptnrrzt (WVHA - Business Administration Main Office). This gave Pohl and his staff direct control over the concentration camps and the exploitation of their prisoners. Both Heydrich and Himmler liked to insist that it was the positive, not the negative side of their tasks they relished. After the initial shock treatment in the Protectorate, Heydrich had switched to a social policy designed to win over the workers to German rule through wages and welfare. Meanwhile he retained a key role in planning the colonisation of the eastern occupied territories and the vast road, rail and community building projects which were to be realised there, mainly with concentration camp labour. Despite or because of this Himmler now placed the concentration camp administration in a remodelled Economic and Administration Main Office (WVHA) whose responsibilities covered the administration and supply of the police, Waffen-SS, General SS and the SS construction, real estate and other business concerns. At the head of this organisation was Heydrich's erstwhile naval colleague, now his serious rival, Oswald Pohl. Whether Himmler's motive in thus mightily building up Pohl's power base was to curb Heydrich's growing ambition and popularity with the Fuhrer after his decisive action in the Protectorate and with the Endlosung, whether it was to fend off outside rivals from the economic sector, or whether it was just an obvious rationalisation now that camp labour and the SS building materials firms were in the forefront of eastern colonisation plans is not clear. In October 1939, Theodor Eicke was appointed commander of an SS division, and his place as Inspector of Concentration Camps was taken over by Richard Glucks. For ten months the Inspectorate came under the SS Main Office (SS-Hauptamt) but in August 1940 a new operational headquarters for the Waffen-SS was formed under SS-Brigadefuhrer (brigadier-general) Hans Juttner to command the Waffen-SS, but nobody was quite sure which parts of the SS organization formed part of the Waffen-SS. On the 22 April 1941 the SS-Fuhrungshauptamt issued a directive which listed one hundred and sixty-three units, departments and installations considered to be part of the Waffen-SS. This list included the staffs and guard units of the eight main concentration camps. So for nearly a year the concentration camps came under control of Hans Juttner and the operational headquarters of the Waffen-SS. The most notable manifestation of this decree was that concentration camp guards became members of the Waffen-SS with the same uniform and badges of rank and carried Waffen-SS pay-books. It meant also that members of a concentration camp staff or guard unit could be transferred to another Waffen-SS unit at the front, or a Waffen-SS man serving in one of the field formations could be sent to join the staff of a concentration camp on grounds of ill-health or physical disability which rendered him unfit for front line duty. This was the most cogent argument against those SS apologists who claim that the Waffen-SS had nothing to do with the concentration camps. On both the highest formal and lowest guard level Himmler had irrevocably bound the knights of his black order to the murkiest corners of his deadly empire. The final transfer of control over the concentration camps came in February 1942, when the Inspectorate of Concentration Camps became Section D (Amtsgruppe D) of Oswald Pohl's SS Economic and Administrative Main Office (SS-Wirtschafts-Verwaltungs Hauptamt, or WHVA for short). Pohl was a former naval paymaster and one of those SS pragmatists with considerable business acumen, organizational ability and complete lack of scruples. As soon as Pohl's office became the largest employer of concentration camp labour, it fell foul of the `final solution fanatics' in Reinhard Heydrich's Reich Security Main Office or RSHA. Pohl insisted on better treatment for camp inmates, and SS men were forbidden to strike, kick or even touch a prisoner. Inmates were to be better housed and fed, and even encouraged to take an interest in their work. Those who did were to be trained and rewarded with their freedom. There was a small reduction in the number of cases of maltreatment, but food and accommodation were still appalling, and in return for these "improvements" prisoners were still expected to work eleven hours per day, six or seven days a week. After the initial wave of pogrom-like massacres, the SS and police gathered the surviving Jews of occupied Poland and the Ukraine in ghettoes and labour camps. The SS supplied the raw materials and tools - much of which had been stolen from Jewish firms - and Jewish sweated labour manufactured goods for the SS. Try to obtain for the nourishment of the prisoners in 1943 the greatest quantity of raw vegetables and onions. In the vegetable season issue carrots, kohlrabi, white turnips and whatever such vegetables there are in large quantity and store up sufficient for the prisoners in the winter so that they had a sufficient quantity every day. I believe we will raise the state of health substantially thereby. I believe that at the present time we must be out there in the factories personally in unprecedented measure in order to drive them on with the lash of our words and use our energy to assist on the spot. The Führer is counting heavily on our production and our help and our ability to overcome all difficulties, just hurl them overboard and simply produce. I ask you and Richard Glucks (head of concentration camp inspectorate) with all my heart to let no week pass by when one of you does not appear unexpectedly at this or that camp and goad, goad, goad.